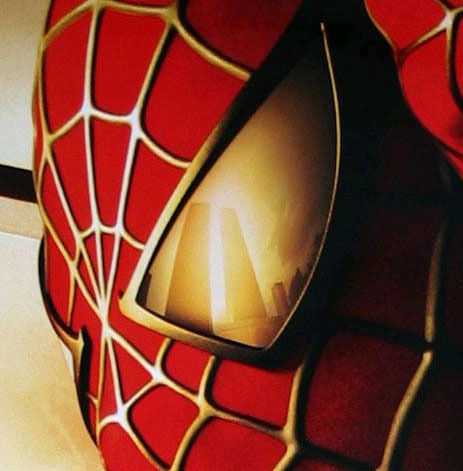 The "crown jewel" of any Spider-Man poster collection is the infamous Twin Towers poster, which was yanked from circulation after 9/11. Also rare is the Doctor Octopus poster for Spider-Man II - not really a movie poster, but more of a flyer (ala Comic Con). Spider-Man 2 : 1-Sheet "Destiny"
Spider-Man 2 : 1-Sheet Intl "Destiny"
Spider-Man 2 : 1-Sheet "Choice"
Spider-Man 2 : 1-Sheet Intl "Choice"
Spider-Man 2 : 1-Sheet "Sacrifice"
Spider-Man 2 : 1-Sheet Intl "Sacrifice"